As customers share their personal data, preferences, and inclinations online over various channels, they expect a personalized experience from companies. It is up to the marketers to find the right data on each prospective customer from the voluminous data inventory. Sorting through the complex data and turning it into a meaningful insight is a herculean task and the market is in dire need of a solution that can provide a comprehensive report of all the data on a single screen. QuickPivot has become an essential part of this equation by bringing forth big data analysis, intuitive customer insights, visualization, and data aggregation in a single easy-to-use platform. “We make data easy and that really resonates with our customers because gaining insights from the vast amount of data is universally the primary challenge,” states Bob Boehnlein, CEO of QuickPivot. QuickPivot has six fundamental capabilities built into the platform to simplify data complexity—Collect, Target, Palette, Interact, Impact, and Connect. The Collect functionality of QuickPivot equips marketing teams with the ability to aggregate complex data, refine it and store it in a marketing-managed database. Target provides real-time segmentation and analysis on a customer’s online and offline journey, demographic information, and other decision-making factors. With Palette, marketers can design an effective customer journey by dragging and dropping icons on the dashboard. 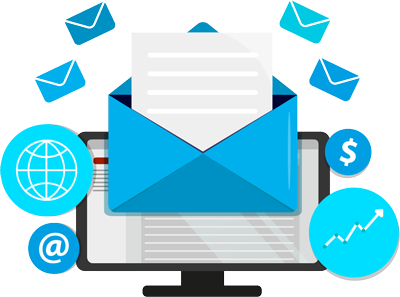 Adding to QuickPivot’s repertoire of successful marketing tools, Interact enables the clients to establish a relationship with the end-consumers through emails, messages, social media, mobile, and web apps. The benefit provided by Impact is a set of dynamic reports and visualizations to understand the effect of communication, customer insights, and analysis on driving revenue. Lastly, the Connect functionality has 300 integrations to receive and send data, ultimately streamlining entire marketing stacks. QuickPivot enables B2B and B2C companies to track significant and complex data relationships across their entire customer base to build an effective marketing strategy and roadmap. QuickPivot’s team of consultants offer the right solution after an intensive discussion with the client about key customer issues, business outcomes of each decision, data sources, and position of the client in the market. 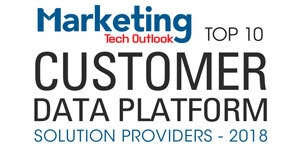 The client's end-user data is ingested by the platform to develop an accurate marketing model. QuickPivot works collectively and collaboratively with clients to enhance business impact through better targeting, data transparency, visualizations, predictive modeling, and analytics. The success story of one client, a high-end shoe retailing company, provides an overview of the advantages QuickPivot offers to clients. This client understood that catalogs, physical and online store transaction data singly, were insufficient in identifying customer expectations. They were unable to unify the data of buyers visiting multiple point-of-sale such as the online, catalog, and retail store. QuickPivot helped them reconcile the offline and online transaction data by building multiple integration capabilities. The information from direct mail, physical stores, and digital outlets were combined to provide deeper insights into customers’ buying habits. With these insights, QuickPivot’s client was able to provide a personalized customer experience to the end users and maximized customer satisfaction. Furthermore, QuickPivot helmed the marketing campaigns to maximize sales and revenue, which led to a growth of 40 percent over the years. The QuickPivot team is exploring the prospects of machine learning that marketers can leverage to maximize productivity and gain predictive and prescriptive insights about their customer data. The enhanced solution will immediately present dynamic customer insights and identify different segments and correlations without human intervention. “We want to make our technology intelligent and build that capability organically within our platform to free-marketers from mundane tasks and allow them to focus on creativity,” concludes Boehnlein.